The latest generation Hyper dd Ultra interconnect offers a sophisticated, evenly balanced sound which draws you into the musical performance. Earn 416 loyalty points when you order this item. 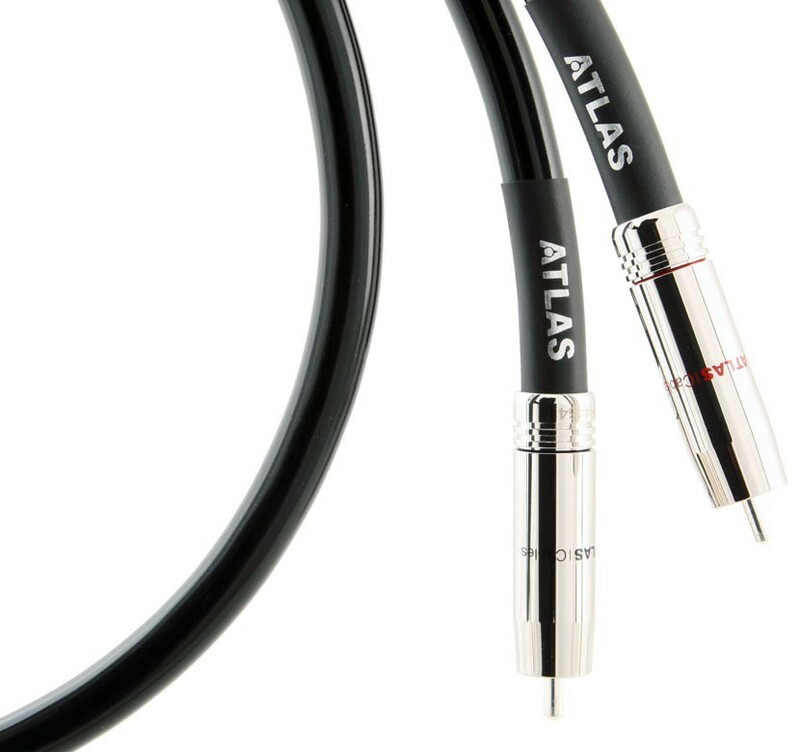 Atlas Hyper DD Ultra RCA Interconnects has a solid OCC (Ohno Continuous Casting) copper core surrounded by multiple bunch-stranded ‘satellite’ conductors of high purity OCC copper, The ‘speed’ characteristic of analogue cables is determined primarily by the dielectric performance of the insulator applied around the conductor. Hyper’s conductors are encapsulated within a high-efficiency gas foamed Polyethylene dielectric, with excellent immunity to interference and noise. Termination is via our wide-band, low-mass solder-free Ultra connectors – the fewer discontinuities in the signal path, the lower the level of signal degradation and the better the performance. Normally screened cables suffer from screen distortion when they are prepared for production. This distortion of the screen has a measurable impact, effectively changing the impedance and therefore the performance of the cable. This configuration is based on a simplified version of the techniques we developed for our top-of-the-range Mavros and Asimi interconnects. Twin symmetrical drain wires (each attached to 180° segments of the plug) are inserted between a 100% copper/Mylar foil and screen.